Tales by Light - Jackson Wild: Nature. Media. Impact. Tales By Light follows extraordinary photographers on their quest to change perceptions through their art. These extraordinary artists know that the right image can speak volumes and have the power to make a difference to the fate of the precious ecosystems and wildlife of our natural world. Tales by Light is a series that features photographers who are using their craft to shine a light on subjects that matter. 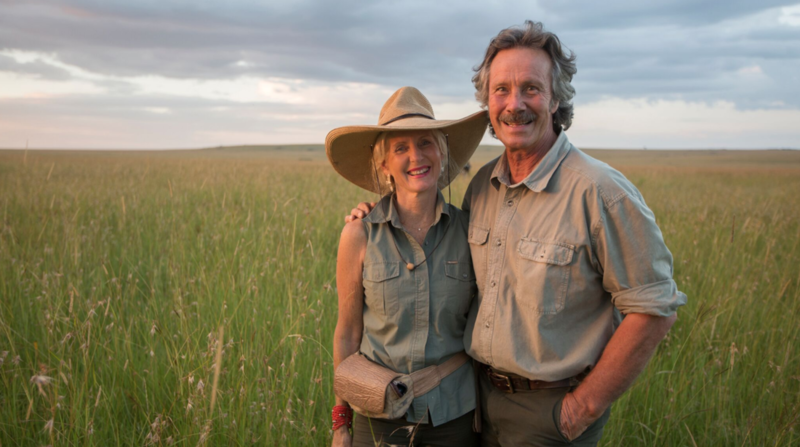 Jonathan and Angela Scott are world-renowned photographers and naturalists who have spent decades documenting the Masai Mara in Kenya through their images, books and television programs. With the Mara under more pressure from the outside world than ever before, they are committed to using their platform to show the world what a wildlife jewel the Mara is, and that it has to be protected into the future. With only a month to capture the wonder of the Masai Mara, we were under pressure to have special wildlife encounters. Generally, one-hour wildlife programs take many months, if not years to produce. Thankfully we were blessed with Jonathan and Angela’s vast big cat experience, as well as some truly fortuitous sightings. This film was also produced with a small crew of three which meant everyone wore many hats. Jonathan and Angela have a very special connection with the natural world. They have developed a philosophy they call “Sacred Nature”. They believe many people have lost touch with the living world. At this stage of their careers, they want to inspire as many people as they can with their images and message. Essentially this film was about capturing their Sacred Nature philosophy and delivering it to the viewer. We really loved capturing a little window into the world of the local Masai culture. As the original custodians of the Mara, we would have been remiss to have filmed here without including them. Among the numerous East African tribes, the Masai stand out in their connection to their traditional ways – both in dress, dance and language. However they are still a culture in transition, and exploring this aspect of the Mara was fascinating. We are in the middle of filming a third series of Tales by Light as well as a new series on the big cats of the Masai Mara with Jonathan and Angela Scott. We are committed to continue to shoot films that inspire and motivate positive change for our world. Why did you pick Jonathan + Angela Scott to be the on camera host telling this story? When it comes to wildlife, you would be hard pressed to find others who have spent as much time in the field as Jonathan and Angela Scott. 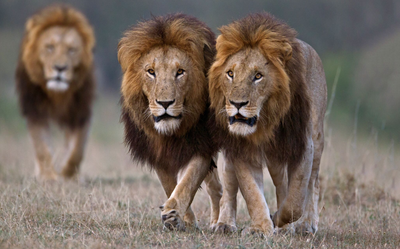 Jonathan has been continuously capturing the wildlife of East Africa since the mid 1970’s. What surprised me the most about the Scotts is their boundless enthusiasm for the animals. They have known and photographed generations of lions in the Mara, even naming the famous Marsh Pride, yet they continue to be as passionate and thrilled at witnessing behaviour as they were at the start of their careers. There are few in the wildlife genre that can enthral the viewer as much as the Scotts – making them perfect hosts for this film.